One of the new treats for the new "Fantasmic!" at Disneyland is this delicious Teddi Beara Lavender Sparkler drink available at the Hungry Bear Restaurant! 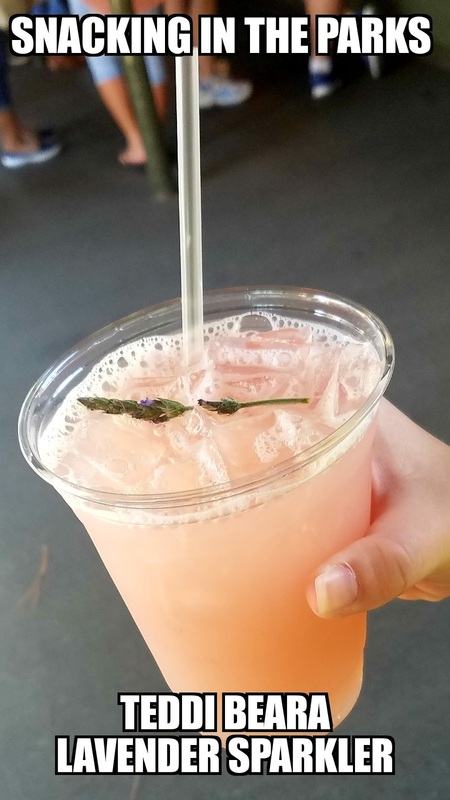 This sparkling drink is a delicious blend of lavender, elderflower and lemon reminds me of lychee! It is cool and refreshing!